It was quite an eventful day yesterday (July 20) at the Indian Parliament when the leader of the opposition Indian National Congress Party Rahul Gandhi made a daring speech against the Prime Minister Narendra Modi. That said, it wasn’t the only big talking point from the day’s event as one other major development came to the notice of the masses when Rahul Gandhi winked at fellow MPs before the start of the proceedings leading to the moment being captured by cameras and subsequently quite a lot of debate across the nation. 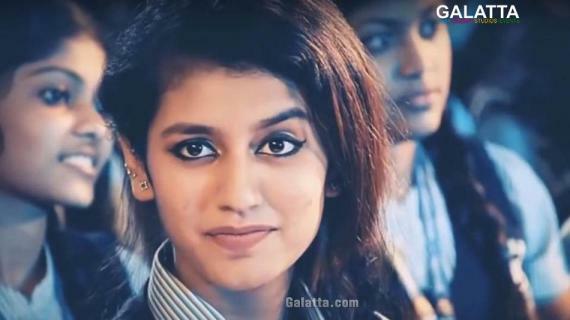 Soon, the ambassador of ‘wink’ in India, up-and-coming actress Priya Prakash Varrier was queried on Rahul Gandhi’s wink to which she stated, “I have come back from college to see the news that Rahul Gandhi has winked at our Prime Minister Narendra Modi at Parliament. He has greeted him with the wink which is a very sweet gesture and I am very happy that it was my signature move in the movie where I started off. So, yeah, today I'm very happy,”. Fans will know Priya Varrier shot to instant fame after her infamous wink in the “Manikya Malaraya Poovi” song from the Malayalam film, Oru Adaar Love. Priya’s popularity soared overnight leading to the young star becoming the face of countless memes and videos across the nation and a massive fan following on her Instagram page.